In the Aleinu prayer, we ask God "to repair the world under the rule of God" (l'taken olam b'malchut Shadai). But we can't expect God to do all the work without our help! Jewish tradition teaches that we are partners with God in the repair of the world. It is up to us to turn the words of our prayers into action to make the world a better place. ​Since 1973, the U.S. Supreme Court's ruling in Roe v. Wade has protected a woman's right to make her own decisions about her body when she becomes pregnant. That right, however, is under threat from a new anti-choice majority on the U.S. Supreme Court that may be ready to chip away – or take away – a woman's reproductive rights. In Rhode Island, we have reason to be worried. The Rhode Island state laws that made abortion illegal before Roe are still on the state's law books. Currently, they are unenforceable, but they would again be the law of the land if Roe is overturned. This is why we need the Reproductive Health Care Act (RHCA). 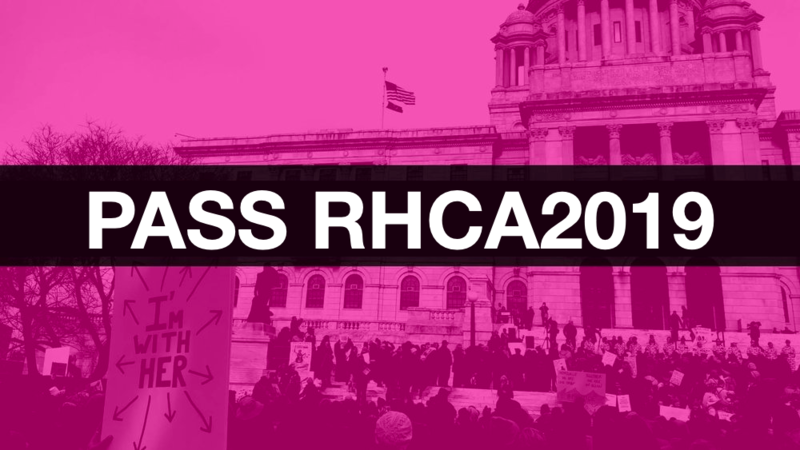 RHCA does two things: first, it puts reproductive rights into Rhode Island state law, and second, it repeals several Rhode Island laws that have been ruled to be unconstitutional under Roe. It would guarantee reproductive rights in Rhode Island as they exist now, no matter what the Supreme Court does. On January 15, the RHCA was introduced in the Rhode Island House of Representatives with a record 39 cosponsors, a majority of the House. A companion bill will soon be introduced in the Senate with a record 17 cosponsors. Polling data tells us that 71% of Rhode Islanders support codifying Roe v. Wade into state law. 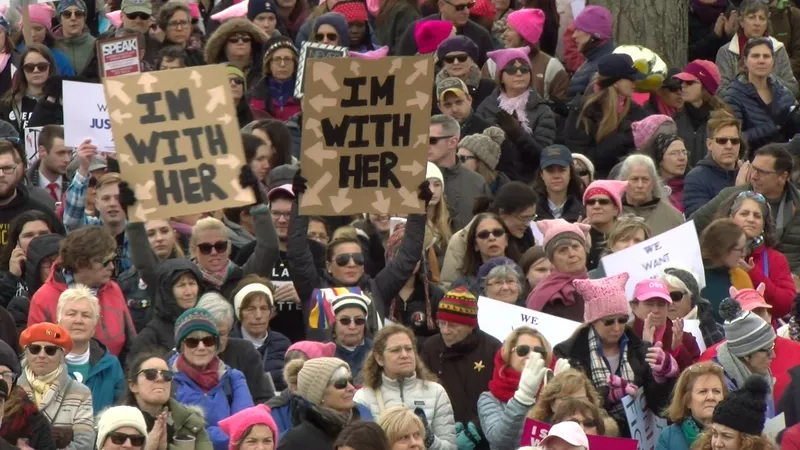 However, opponents of reproductive rights are inundating legislators with anti-choice emails, which can skew lawmaker's perceptions about public sentiment. STEP 1: Click here to send Planned Parenthood's letter to members of the Rhode Island House and Senate telling them to pass the Reproductive Health Care Act. STEP 2: "Like" Planned Parenthood Votes! Rhode Island on Facebook. STEP 3: Click here to sign up for the "Prayer is Not Enough" Facebook page. 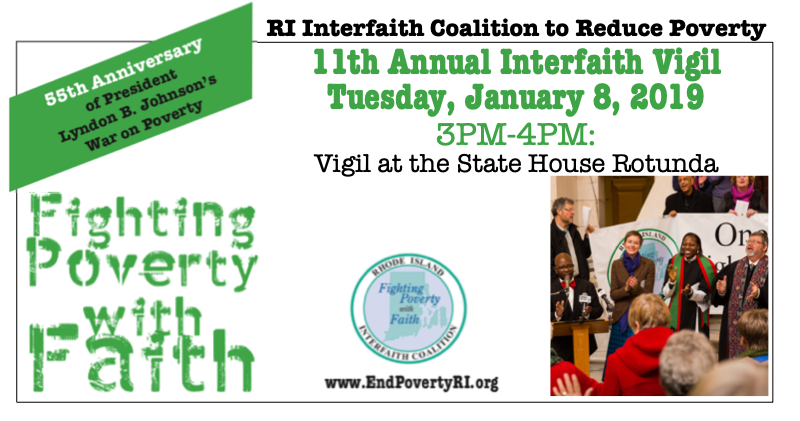 ​The Rhode Island Interfaith Coalition to Reduce Poverty will hold its 11th Annual Interfaith Vigil under the State House dome on Tuesday, January 8, from 3:00 to 4:00 PM. It is one of the most important events of the year to advance legislation in the General Assembly for affordable housing, food for the hungry, health care, access to education, and decent work at fair wages. • find – and offer – inspiration and encouragement in the struggle for economic justice. STEP 1: Sign up for the Interfaith Coalitions mailing list here. STEP 2: "Like" the Coalition's page on Facebook. STEP 3: Mark your calendars, invite others, and attend the Vigil on January 8 at the State House! Please contact Victoria at RIinterfaithcoalition@gmail.comor 401.421.4111 ext. 161 with any questions. STEP 4: Click here to sign up for the "Prayer is Not Enough" Facebook page. ​We have seen in recent weeks how the federal government is stepping up efforts to demonize immigrants, to separate children from immigrant families, and to deport undocumented immigrants – even those who have been living in the country for may years, who have paid their taxes, and who have committed no crimes. This has created a crisis in the immigrant community and a crisis for civil rights in the United States. 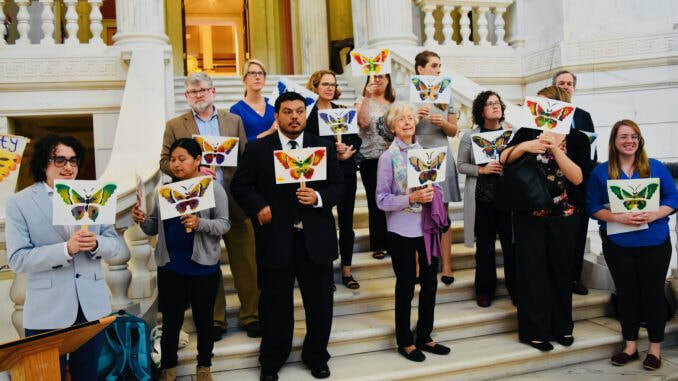 In response to this crisis, First Unitarian Church in Providence has created a Sanctuary space to welcome guests who are at risk for deportation. In support of the Sanctuary, the Jewish Alliance of Greater Rhode Island is hosting a training for those who are interested in being volunteers at First Unitarian Church’s Sanctuary efforts. The training will be on Tuesday, July 10, from noon to 1:30 PM at the Jewish Alliance. STEP 1: Sign up to participate in the training on July 10, from noon to 1:30 PM at the Jewish Alliance. Send an email to Stephanie Hague at shague@jewishallianceri.org to RSVP. STEP 2: Make a donation for the maintenance of the Sanctuary. Send checks to First Unitarian Church, 1 Benevolent Street, Providence, RI 02906. Put the word “Sanctuary” in the check memo. ​Times are difficult for Dreamers. In 2012, the U.S. adopted a new policy called Deferred Action for Childhood Arrivals (DACA) that allows some undocumented immigrants who were brought to the United States as children – called "Dreamers" – to receive a renewable status that would protect them from deportation and allow them to apply for work permits. Although DACA does not give these young people a path toward U.S. citizenship, it does offer them a legal status. Now, however, the future of the DACA program is in doubt. President Trump repealed DACA last year, leaving Dreamers in a legal limbo until the issue is settled by the courts. Legislation in the Rhode Island General Assembly – S2678 in the Senate and H7982 in the House – would assure Dreamers who have received protection under DACA the right to get a drivers license in the state. The licenses would allow Dreamers to drive to school or to work without fear of arrest. However, the special licenses would not be valid for voting, boarding airplanes, or entering federal facilities. The legislation would give these young immigrants a chance to continue their lives in Rhode Island uninterrupted while the political and legal battles are settled. There are about 1,200 DACA recipients in Rhode Island. As Jews, we care about this issue because many of us have stories about our own family members who came to America as immigrants. We know, and our tradition teaches us, the importance of welcoming the stranger and of making our country a place that treats people humanely and compassionately, just as we wish to be treated. Versions of the legislation allowing driver's licenses for Dreamers have been passed in both the Rhode Island Senate and House of Representatives. However, the two bills are not identical and the House must modify its bill to match the Senate version. We need to make sure that Speaker Mattiello brings the bill up for a vote on the chamber floor before the end of the session by the end of this week. STEP 2: Reply to this email to report on what response you heard from your lawmakers and from your lawmakers' staff. That's it! Your advocacy makes a huge difference! ​Rhode Island is facing a growing housing crisis. Apartments have gotten so expensive that half of all renters must spend more than 30% of their income on rent. It's unsustainable and it's getting worse. In the last eight years, the average rent for a two-bedroom apartment in the state increased almost twice as fast as average income. Renters who earn the median income cannot afford to rent the average two-bedroom apartment in any city or town in Rhode Island. One way we try to help people pay rent is through federal Housing Choice Vouchers (commonly called "Section 8"). Under the program, renters pays 30% of their income and the voucher covers the rest of the rent. Currently, 9,300 Rhode Island households receive assistance through the Housing Choice Voucher Program. But, here's the problem: After waiting sometimes years to receive their vouchers, many people find that they cannot find a landlord who will accept them because landlords are allowed to discriminate against people with housing vouchers. Some landlords put this discrimination in black and white in advertisements that say "No Section 8." What can be done? Rhode Island should pass legislation that makes it illegal for landlords to deny applicants solely based on their source of income. Thirteen states and Washington D.C., plus 62 counties and municipalities already have such laws, including Massachusetts, Connecticut, Maine and Vermont. Every prospective tenant deserves to be considered based on their qualifications, not on stereotypes about their source of income. This legislation would not apply to owner-occupied buildings with three or fewer units, and would not prevent landlords from asking about a tenant's level of income. Protecting voucher recipients from discrimination will help meet Rhode Island's housing needs in a time of crisis, and it will increase housing opportunities for low-income renters at no cost to the state. STEP 1: Call Speaker Mattiello at 401-222-2466. Tell the person who answers the phone, “I would like to leave a message for the Speaker urging him to bring The Source of Income Bill (H7528) to the floor of the House for a vote.” The Speaker is the biggest single obstacle to getting this law passed. Need to Go to the Floor for a Vote! Despite major school gun massacres this year in Florida and Texas, the leadership of the Rhode Island House of Representatives is STILL holding important gun safety legislation "for further study," i.e., preventing a vote on the floor. Tell Speaker Mattiello that thoughts and prayers are not enough. The time for study is over. NOW IT'S TIME FOR ACTION. The Assault Weapons Ban, the Safe Schools Act, and the High Capacity Magazine Ban must go to the floor of the House and Senate for a vote. Assault weapons, such as the AR-15, are the weapon of choice for most mass shooters. These weapons feature high-velocity bullets and quickly replaceable magazines. Modeled after military weapons, commercially available assault weapons are particularly deadly. Emergency room physicians report that shootings involving assault weapons are far less survivable than those involving handguns or other rifles. Rhode Island lags behind our neighboring states in banning assault weapons. The time to ban them here is now. This bill would prohibit concealed carry firearms from Rhode Island K-12 schools except for police and resource officers. Right now, Rhode Island is one of only four states that generally allow concealed cary permit holders to bring firearms on K-12 school grounds. The Rhode Island State Police and the Rhode Island Police Chiefs Association support this legislation. Law enforcement officials know that only trained police and peace officers should be armed in schools. It's time to restrict guns from schools. Magazines of more than ten rounds serve only one purpose – to allow a shooter to hit as many targets as possible in a short amount of time. They make it easier to kill lots of people quickly. There is no reason why anyone would need a high-capacity magazine for any other purpose, including self-defense. Rhode Island already limits the number of rounds in deer hunting to five and for duck hunting to three. Right now, there is no limit on rounds for those who want to shoot people. Magazines of more than ten rounds have no place in Rhode Island and should be banned. STEP 1: Call Speaker Mattiello TODAY at 401-222-2466. Tell the person who answers the phone, “I would like to leave a message for the Speaker urging him to bring The Safe Schools Act (H7591), the Assault Weapon Ban (H7766), and the High Capacity Magazine Ban (H7645) to the floor of the House for a vote.” The Speaker is the biggest single obstacle to getting these laws passed. STEP 2: Send an email to the leaders of the General Assembly and your own Representative and Senator by clicking here. STEP 3: Reply to this email to report on what response you heard from your lawmakers and from your lawmakers' staff. ​According to a 2017 Pew Research Center poll, Rhode Island voters support keeping abortion safe and legal by an overwhelming TWO-to-ONE margin! Yet, the General Assembly has still not repealed the anti-abortion laws that were ruled unconstitutional 46 years ago by the Supreme Court in Roe v. Wade. The Reproductive Health Care Act (RHCA - S2163/H7340) would establish the principles of Roe v. Wade into Rhode Island law and repeal the state's unconstitutional and unenforceable restrictions on abortion. There is an urgent need to pass the RHCA. Rhode Island received an "F" grade in the 2016 NARAL Pro-Choice America report on state laws, and Rhode Island is rated as “hostile” to abortion rights by Guttmacher Institute. The U.S. Supreme Court is now one vote away from an anti-Choice majority that could repeal Roe v. Wade and mandate the enforcement of our state's anti-abortion laws. The time to repeal these laws is now, before a vacancy on the Supreme Court makes this a "third rail" issue that the politicians will be too frightened to touch. ​STEP 1: Call Speaker Mattiello today at 401-222-2466. Tell the person who answers the phone, “I would like to leave a message for the Speaker urging him to bring the Reproductive Health Care Act (H7340) to the floor of the House for a vote.” The Speaker is the biggest single obstacle to getting this law passed. STEP 2: Write to or call your State Senator and Representative today and ask them to support the Reproductive Health Care Act (S2163 / H7340). You can find who represents your district by clicking here. You can get a sample letter to send to your lawmakers by clicking here. STEP 3: Attend the public hearing on the Reproductive Health Car Act before the House Judiciary Committee at the State House on Tuesday, April 10, from 3:30 PM to 8:00 PM. Share the Facebook event on your social media. If you would like to testify to the Committee in person or in writing to share your own stories about the need to keep abortion safe and legal, sign up here. STEP 4: Reply to this email to report on what response you heard from your lawmakers and from your lawmakers' staff. STEP 5: Click here to sign up for the "Prayer is Not Enough" Facebook page. Assault weapons, like the AR-15 used in this week’s school shooting in Parkland, Florida, are designed to kill human beings quickly and efficiently. They have been the weapons of choice in some of America’s most horrific mass shootings, including those at the Los Vegas Strip, at a San Bernardino social service agency, at the Orlando Pulse nightclub, at Virginia Tech, and at Sandy Hook Elementary School. There was a federal ban on assault weapons from 1994 to 2004. This law defined assault weapons as semi-automatic rifles, pistols and shotguns able to accept detachable magazines and with military-style features. Despite the fact that the federal ban had significant loopholes, the share of gun crimes committed with assault weapons declined during the ban. Studies show that the rise in the number and lethality of public mass shootings coincides with the growing number of military-style weapons in the civilian market. Seven states and the District of Columbia have enacted laws banning assault weapons. It is time for Rhode Island to do so, too. ​That's it! Your phone call makes a huge difference! Rev. Dr. William J. Barber II, the President and Senior Lecturer of Repairers of the Breach, gave the keynote address at the 2017 Biennial Convention of the Union for Reform Judaism. His address, "We Need a Moral Breakthrough," set an agenda for confronting poverty in America from the standpoint of moral religious leadership. Temple Sinai showed this video of the speech at the reception following our annual Martin Luther King Day service on Friday, January 19th. Rev. Barber's speech begins at 6:25 on the video. Protect the Stranger. Love thy Neighbor. for you were strangers in the land of Egypt. The Reform Movement's Religious Action Center (The RAC), in partnership with URJ Youth, is mobilizing in an effort to help pass a clean Dream Act, which would grant permanent residence status on a conditional basis and provide a pathway to citizenship for DREAMers who attend college, work in the U.S. or serve in the military. Congress has repeatedly failed to act to protect DREAMers, allowing an average of 122 DACA recipients to lose their status and protections every day. Those who will decide the fate of DREAMers, whether through action or inaction, need to hear from us now. STEP 1: Use the RAC's call-in tool to urge your elected officials to pass the #DreamActNow. The RAC worked with United We Dream to create a call-in tool that connects you directly to your senators and representatives. 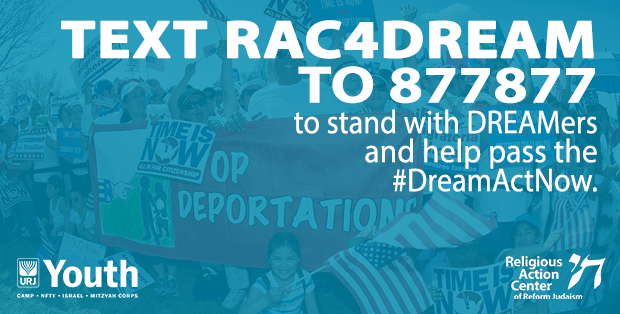 Just text RAC4DREAM to 877877 on a mobile phone and enter your email and zip code. You'll immediately receive a call and be given step-by-step instructions. Access call scripts and other resources to help with your calls. These calls are vital to keeping up the pressure in Washington. STEP 2: Amplify this effort on social media. All Reform Movement institutions have joined the effort on social media with the hashtag #Faith4Dream. To make the biggest impact, we must show our power in numbers. Please forward, retweet, and repost. Every post matters. Follow the RAC on Twitter and like the RAC on Facebook now to stay up-to-date on the Dream Act. STEP 3: Sending a message to your elected official through the RAC website. ​Visit rac.org/DreamAct to send a targeted email to your elected officials right now. Note: adding an anecdote or explanation of your interest in the issue makes these emails more compelling and personal. Hurricane Harvey Houston Day Camp: Yesterday (August 31st), the inspiring and hardworking staff of URJ Greene Family Camp opened Hurricane Harvey Houston Day Camp. In partnership with the Evelyn Rubenstein Jewish Community Center of Houston and a facility provided by Congregation Emanu El in Houston, the camp is providing local children the opportunity to have fun with other kids from across Houston, while giving parents the time and space to take care of their homes, cars, and other responsibilities after this difficult week. URJ Greene Family Camp: Located in Bruceville, Texas, URJ Greene Family Camp is open to displaced storm victims seeking shelter. Camp has been open since Monday, August 28, and is providing families with housing, food, air conditioning, internet, and electricity. There are currently a handful of families at camp, but that number is expected to rise as people from the most impacted area are able to travel. Further details are available on the camp's website. 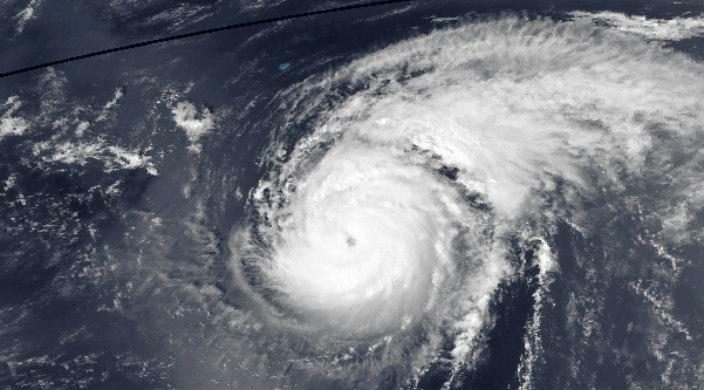 Partners in relief work: The URJ is working closely with partners in the Jewish Voluntary Organizations Active in Disaster (JVOAD), especially the Jewish Federations of North America (JFNA) and NECHAMA. The best advice from those directly involved in working with flood victims is that donations to relief organizations or gift cards are preferable to shipping food or clothing. It is difficult and inefficient to match up victims' needs with specific donations. STEP 3: Subscribe to the "Prayer is Not Enough" email list at the top of this page and Click here to sign up for the "Prayer is Not Enough" Facebook page. That way, you will receive updated information on what you can do to help people in need and how you can make a difference in supporting Israel, confronting racism, reducing poverty, and many other issues related to Jewish values. Prime Minister Benjamin Netanyahu has capitulated to the ultra-Orthodox in the most serious blow in years to relations between Israel and American Jews. Last week, the Israeli government reneged on a deal negotiated over four years to create a space at the Western Wall where non-Orthodox Jews could worship with men and women together. The deal would not have taken a single centimeter away from the current spaces where Orthodox men and women pray separately. The government's decision is a humiliating blow to millions of non-Orthodox Jews in Israel and throughout the world who wish to pray at the Western Wall as they do at their home synagogues. Perhaps more importantly, this decision sends a message to American Reform and Conservative Jews that the State of Israel just does not care about them. It further alienates young American Jews from the State of Israel at just the time when they need to be reassured that Israel respects and will reflect their values. The government's reasons for doing this are purely political. Prime Minister Netanyahu needs the support of the small ultra-Orthodox political parties to sustain his precarious government. To stay in power, he has shown that he is willing to sell out the American Jewish community. We need to let him know that heavy price he will pay for going back on his word. STEP 2: Reply to this email to let us know that you have sent a message and to report back on any response you may receive from the Consul General. ​That's it! Your email message makes a huge difference! Passage of Gov. Raimondo's Justice Reinvestment proposal is coming down to the last few hours of the 2017 General Assembly. There is still work to be done. I hope you can take a moment in the next hour to make an important phone call. The Justice Reinvestment Package is a series of bills that would promote significant reform to the parole system. Currently Rhode Island has one of the longest parole average times in the nation. The Governor's proposal would give parolees a reasonable chance to reenter life after incarceration. Other improvements include compensation for victims, and providing treatment for mental illness and addiction. Last year, the proposal died when Speaker Mattiello did not bring it forward for a vote on the last day of the session. We don't want to see that happen again! Your call could make a huge difference. It's easy. Please call Speaker Mattiello's office at 401-222-2466 and just say, "I would like to ask the Speaker to support passage of the Justice Reinvestment Package." That's it! You may have seen people wearing orange today to honor victims of gun violence and as a symbol of taking action to help stop gun violence in our community. At our Shabbat services, we will pray for a just and a peaceful world, but we know that prayer is not enough. If you would like to take action against gun violence, you may wish to make a phone call to RI House Speaker Nicholas Mattiello to ask him to support the Protect Rhode Island Families Act (HB 5510), that would protect women and families from gun violence by keeping guns out of the hands of domestic abusers. STEP 1: Call Speaker Mattiello at 401-222-2466. Tell the person who answers the phone, "I would like to leave a message for the Speaker urging him to support legislation to protect women and families by taking guns out of the hands of the perpetrators of domestic violence." A high school education is no longer sufficient to prepare Rhode Islanders for jobs in the 21st century. Some education beyond high school is the new minimum. What is more, Rhode Islanders WANT to be able to attend college. Ninety percent of high school seniors say that they want to go to college, but only 65% actually do. The only thing that keeps most of them out of higher education – and that keeps our state from educating people for real jobs – is tuition. Our challenge is to make sure that every Rhode Island student who is willing to work hard has equal access to college, regardless of income. 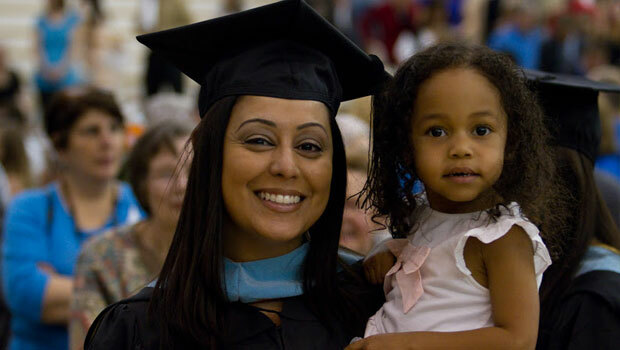 The Promise Rhode Island program supported by members of the General Assembly and Governor Raimondo would provide a free associate's degree and will cut the cost of a four-year degree in half for every Rhode Island resident, starting with the class of 2017. It would provide free tuition at CCRI for two years and free tuition and fees for the junior and senior year at RIC and URI. STEP 1: Call your state Senator and Representative and ask them to support the Governor Raimondo's Promise Rhode Island proposal for free college tuition. You can find out who your legislators are by clicking here for the RI Secretary of State's website (If you choose "Look Up General Voter Information," you don't have to enter your name or date of birth). Just enter your address and zip code, click on "Look up My Voter Information," and find links for your Senator and your Representative in the General Assembly. Once you have their contact information, save it to call again in the future. "Please tell the Representative/Senator that I am asking for his/her support for the Governor's free college tuition plan. Rhode Island needs to prepare our young people for real jobs, and that requires at least some college. The Governor's plan in an investment in our future to extend the promise of free public education through college." The Rhode Island Public Transit Authority discontinued its program of no-fare bus passes for elderly and disabled passengers. Before the program was discontinued, about 12,000 low-income seniors and people with disabilities relied on it to meet basic transportation needs, including access to grocery stores, food banks, shelters, community programs, religious services, recovery meetings, volunteer opportunities, libraries, support groups and much more. Jewish tradition teaches us that we are obligated to care for the poor and the most vulnerable members of our society. The impact of this change was featured in an article in the Providence Journal on March 26, 2017. PAWTUCKET, R.I. – …In February the Rhode Island Transportation Authority ended a program that provided free bus passes for seniors and riders with disabilities. Passengers who have enjoyed free bus rides for at least 20 years, now pay 50 cents per ride. (Regular bus fare is $2). RIPTA expects the change will capture an additional $3.3 million in fares each year, said Barbara Polichetti, a spokeswoman for the agency.… But the change is forcing many to "make choices about very basic needs," said Mary Moore, an administrator at the McAuley House in Providence. Sonia Cortes, 54, mulled one such decision over a tray of roasted chicken and potatoes at Amos House Tuesday afternoon. Should she pay 50 cents and take a RIPTA bus to her psychiatrist's office, she wondered aloud, or save her quarters and walk two miles home to Silver Lake so she can afford a hot meal later? She picked the dinner, she said, because gnawing hunger often overpowers her psychological pain. Cortes said she's supposed to take the bus downtown three times a week to meet her doctor, but hasn't been able to maintain the schedule. "Sometimes I just stay home ... I don't want to see nobody," she said, looking down at her cooling tray. Moore said 200 fewer people attended afternoon programs — such as tutoring, financial counseling, recovery counselor and social gathering — in February compared with January. Ann Wiard, the director of Good Neighbors in East Providence, said her meal count fell by more than 1,000 during the same period. And, Adrienne Marchetti, who runs the Pawtucket Soup Kitchen, said she served 527 less meals in February than she did in January. "Please tell the Governor that I am asking for action to restore the RIPTA no-fare bus pass program for elderly and disabled riders. Our state should not be a place where the most vulnerable people are forced to choose between basic transportation needs and a hot meal." STEP 2: Call your state Senator and Representative with the same message. You can find out who your legislators are by clicking here for the RI Secretary of State's website (If you choose "Look Up General Voter Information," you don't have to enter your name or date of birth). Just enter your address and zip code, click on "Look up My Voter Information," and find links for your Senator and your Representative in the General Assembly. Once you have their contact information, save it to call again in the future.